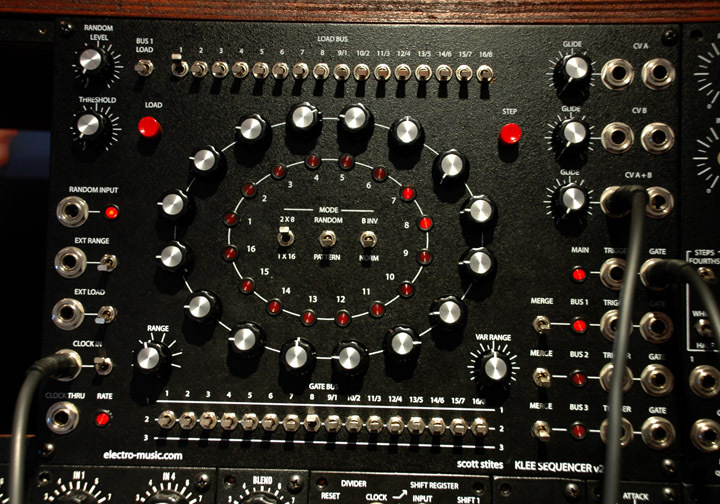 The Klee v2 analogue sequencer is a design by Scott Stites. The front panel was designed by Thomas White. Read more details on Scott Stites’ website. This is a very complex module in terms of cabling. Below a view from the back.